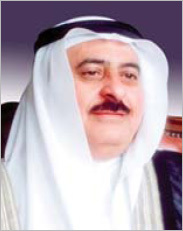 Chairman's Message - AlReef Sugar Refinery Co. Under the patronage and guidance of the Custodian of the Two Holy Mosques, His Majesty King Salman, the government embarked on a development program with massive scale and proportion in Public project investments. Simultaneously the government encouraged and paved the way for the Private sector to invest across all sectors of the economy, in an effort to reduce dependence on the petrochemical sector. Such investments and economic activities have been phenomenal in size and speed of execution, and in terms of mobilization of financial and human resources. Being one of the major players in the Private sector, the AK Saeed Group along with the major stockholders, Jazan Development Co., Al Abdullatif Industrial Investment Co. and Rakaa Holding Group, with HRH Princess Fahdah Bint Abdullah and HRH Princess Fahdah Al Hathleen conceptualized the RESRECO to explore and develop business opportunities that continue to contribute to the advancement of the people of Saudi Arabia and the region. AK Saeed is at an advanced stage of starting a Sugar refinery business. A project team is appointed, composed of international consultants specialized in building and managing sugar refineries, and supported by experienced executives in managing such mega projects. We firmly believe in this long term strategic investment in the sugar industry, striving to satisfy the growing demand and aspiring to participate in KSA’s economic diversification drive outside of the petrochemical sector, to build a sustainable economy for generations to come.